The senior Congress leader tweeted the last meeting of the Reserve Bank of India Board held on November 19 was the "day of reckoning" and Mr Patel should have resigned on that day. "Saddened, not surprised, by Dr Urjit Patel's resignation," P Chidambaram. 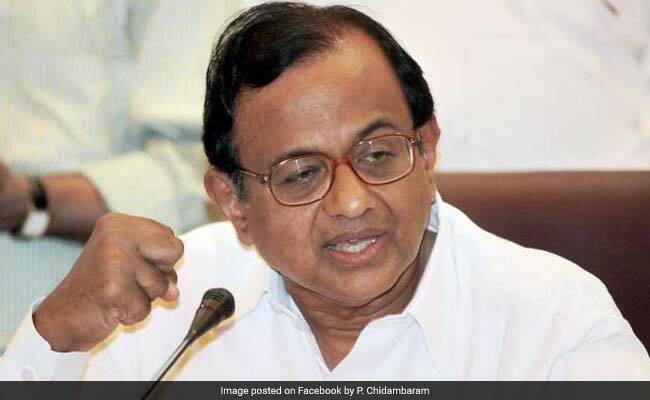 Former Finance Minister P Chidambaram today said he was saddened, but not surprised by the resignation of Urjit Patel as RBI Governor and claimed no self respecting scholar or academic can work in the NDA Government. In a series of tweets, the senior Congress leader said the last meeting of the Reserve Bank of India Board held on November 19 was the "day of reckoning" and Mr Patel should have resigned on that day. Dr Patel may have thought that government will re-trace its steps. I knew it would not. Good he quit before another humiliating meeting. "Saddened, not surprised, by Dr Urjit Patel's resignation. No self respecting scholar or academic can work in this government," he said. Amid differences between the RBI and the government on a variety of issues, Mr Patel today resigned from his post citing personal reasons. Mr Patel, 55, who took over as the 24th Governor of the central bank on September 5, 2016, had the shortest tenure since 1992. He was hand-picked by the BJP-led government after his predecessor Raghuram Rajan was denied a second-term.